The Consolidated Mutual Water Company is committed to maintaining the confidentiality of our customers. All communication with The Consolidated Mutual Water Company, through our website, will remain confidential. We will not publish, sell or give your name or E-mail address to any 3rd party. The Consolidated Mutual Water Company does not warrant or make any representations as to the quality, content, accuracy or completeness of the information, text, graphics, links or other items contained in this website, on this server or any other server. Such materials have been compiled from a variety of sources and are subject to change without notice from The Consolidated Mutual Water Company. 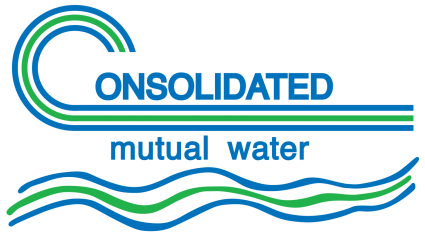 The Consolidated Mutual Water Company is the sole owner of the information collected on the The Consolidated Mutual Water Company website. The Consolidated Mutual Water Company collects information from our users at several different points on our Web site. If The Consolidated Mutual Water Company goes through a business transition, such as a merger, being acquired by another company, or selling a portion of its assets, users’ personal information will, in most instances, be part of the assets transferred. If as a result of the business transition, the users’ personally identifiable information will be used in a manner different from that stated at the time of collection they will be given choice consistent with our notification of changes section.